Wouldn’t it be nice to live in a house full of lovely colors? It would be amazing! We know the feeling of being in a colorful space. It makes us think of happy thoughts and it also make us feel active and full of life. What colors can do to us is really a wonder! So, how about if your own house is filled with lovely colors? This apartment we are going to show you today will definitely make you feel happy and positive! 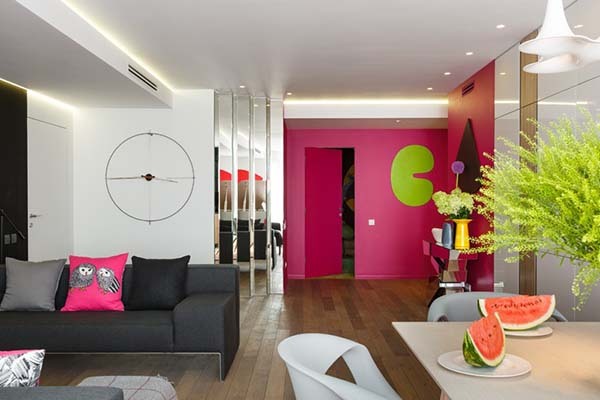 A bold and colorful residence sits in St. Petersburg, Russia that was designed for a family of four. The Tuhachevsky Street Apartment is comprised of 2,475 square feet (230 square meters) area which combines four apartments. From the dwelling, one can get stunning views of the park and the Smolny Cathedral. Clearly, the design has a sense of humor and relays a positive attitude. You can sense that the apartment is occupied by cheerful people with the looks of it. You’d surely enjoy looking at this fun space! 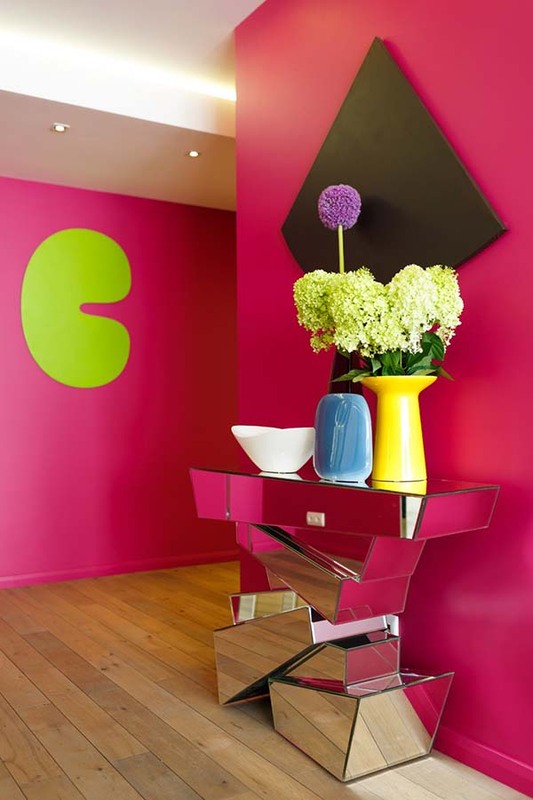 The house used different colors for the interior and added many fun and creative elements. In the living area, you can see artistic throw pillow cases and a mirrored wall partition. This mirrored accent table with a unique design is a shout out to artistry! Love the use of varying vases on top of it. A grand white piano also sits in this open layout for the dining, kitchen and living area. The kitchen is compact with white, black and wooden textures in it. Note that large spoon on top of the cabinet! On the upper area of the apartment are bedrooms that include this colorful modern sleeping area. Since the designers couldn’t find colorful furniture in the stores, they requested for customized pieces just for the apartment. I love the details of this apartment! I honestly want this to be my bedroom! 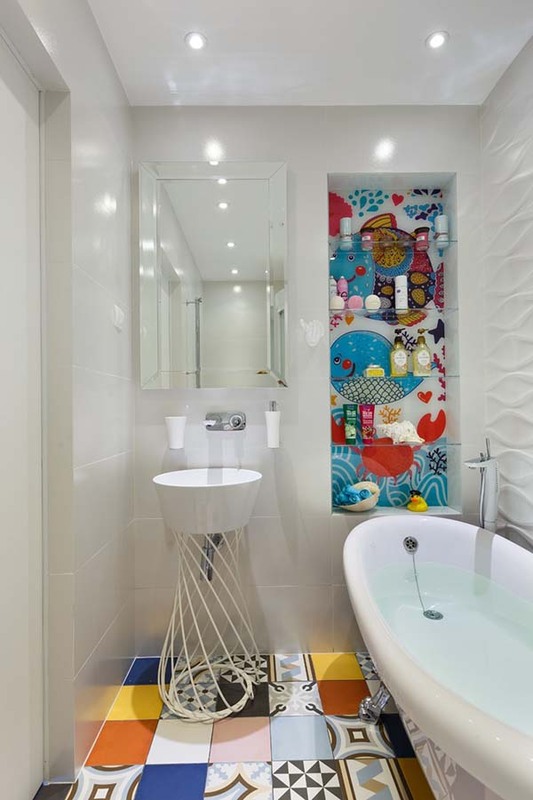 Even the bathroom didn’t escape the lively area of the space adding yellow colors in it. 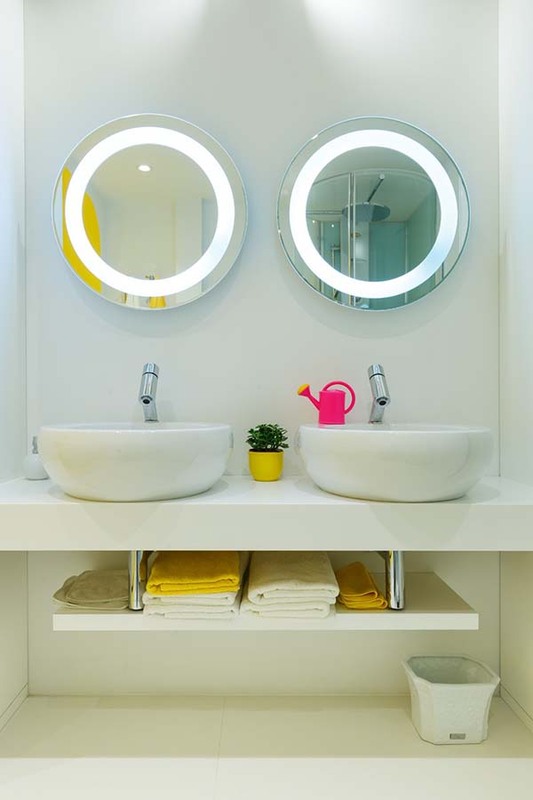 Round circular mirrores were used for the interior of the bathroom with curvy sinks. I can tell that this is the bedroom of a teenager. 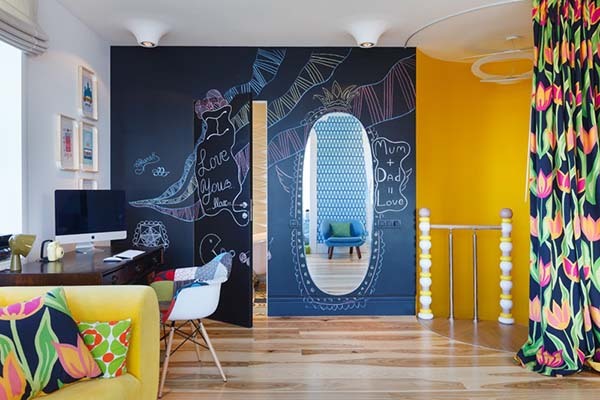 Love the walls and the colorful patterns! That sitting area near the window is love! Even that space for the bed makes me feel young again. 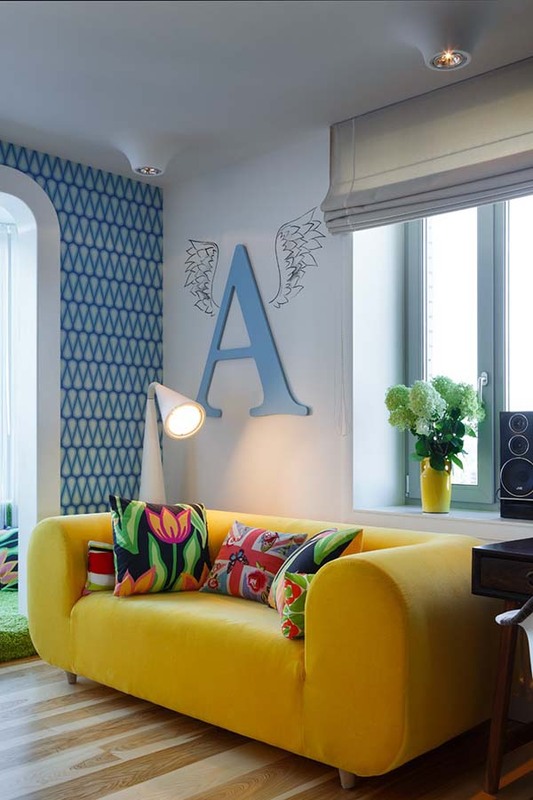 Colorful pillow cases in different prints were used for this striking yellow couch. 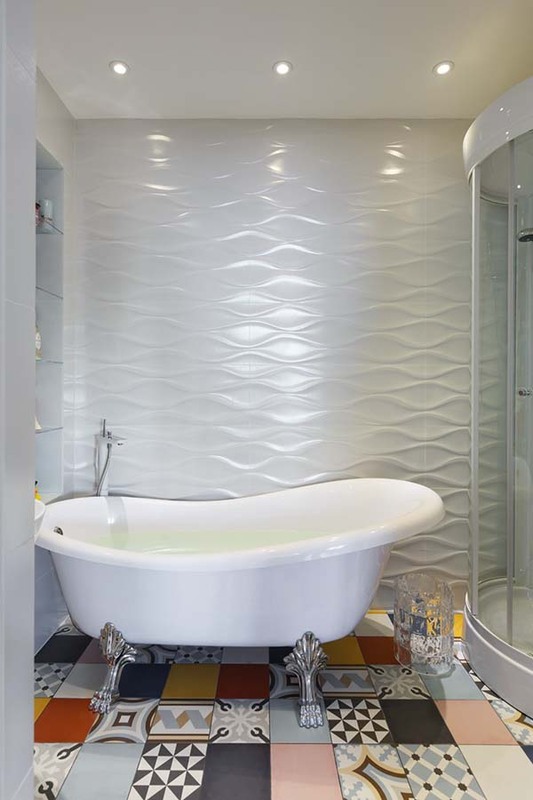 A variety of patterns were used for the bathroom tiles in the floor where a claw feet vintage looking tub sits. Aside from the texture on one side of the wall, the back of the floating glass shelves is very lovely too! The walk-in closet will make you think you are in a department store because of its beautiful design. This home makes me think twice of having a minimalist black and white space! Just look at how colors made this house very lively giving out a positive feeling to everyone! 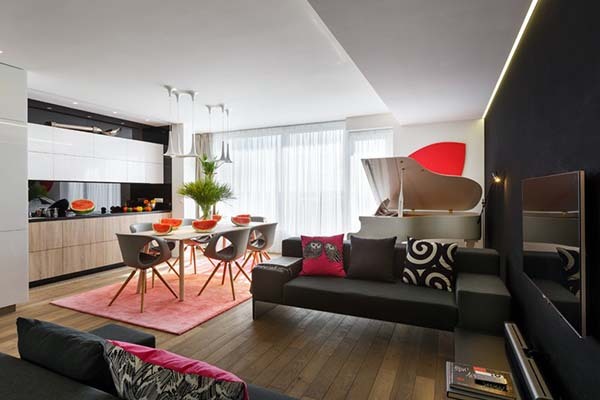 I’d say that despite some challenges in the design, Bazant Studio did a really amazing job to this apartment! 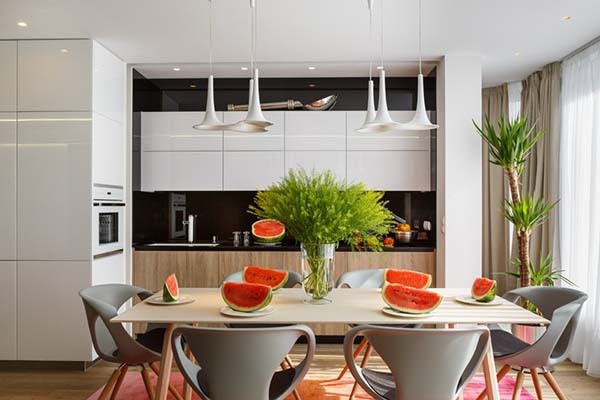 The designers wasn’t really eyeing for the task of making a brightly colored apartment but as they go along with the design, they were able to achieve one especially that they are in favor of bright colors for the space. 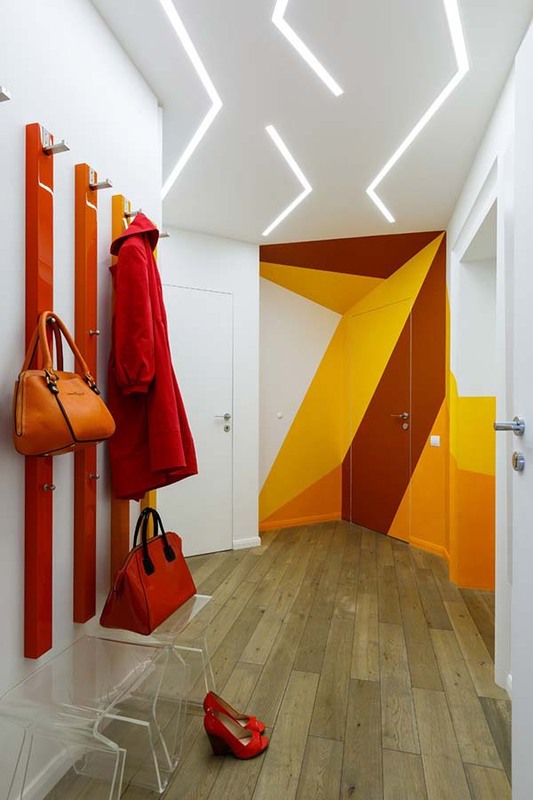 They even said that, “The more we learned about our customers, the more brightness appeared in the apartment.” Indeed, it is the personality of the occupants that can influence the look of a home!